Word Flipper is an addictive, fast-paced word search game for iPhone and iPod Touch that just hit the iTunes App Store with update 1.1 and is bound to generate new buzz with some excellent feature updates. One user describes it as “Sort of Boggle meets Dance Dance Revolution with a carnival twist!” but it really must be played to be appreciated. Jamie Grove, Word Flipper’s developer, said, “I wanted to make a game that combined my love of word games with the fast-moving action available on the iPhone/iPod Touch,” which he’s done by incorporating innovative use of the iPhone OS accelerometer. The new version also incorporates social media functionality, with achievement awards, global leaderboards, and integration with Facebook and Twitter. 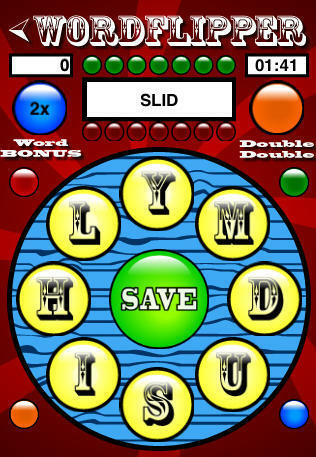 Word Flipper (iTunes link) is available now on the App Store and sells for 99¢.